Viele Themenvorschläge für weitere Videos habe ich nach meinem Aufruf letzte Woche bekommen, sowohl in den Kommentaren als auch per Email. 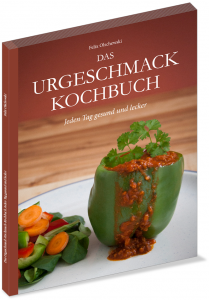 Das erste Thema, das ich angehen möchte, ist die Lagerung von Lebensmitteln im Kühlschrank. Zum Them Tiefkühl-Lagerung und weitere Lagerungsformen gibt es dann demnächst weitere Videos. Danke, ich notiere mir das mal. Just curious though (if you’re willing to answer ofcourse),you mentioned in the video that you don’t eat cheese anymore. Is there a particular (health) reason for that? Never any cheese? cause I can remember some post where you wrote something of ‘some kase zum naschen for tv’. ;) …..so don’t you snack/indulge anymore in anything? Hi Joey – you are a good observer! Indeed, I do not eat cheese any more. I stopped doing that a couple of months ago just to check (once again) if I might be better off without. Later I tried to eat it again but gut digestive problmes immediately and I also did not feel as good as before. So cheese is kind of done for me. I will not rule it out entirely, maybe I will try some Feta cheese in the summer and I think I will keep eating some creme fraiche every now and then. Indulging: Well… I don’t mean to brag, but the food I cook tastes so awesome each and every time that I don’t feel the need to indulge in anything else anymore. I did snack on “some” (cough) chocoloate during the last couple of weeks but stopped that now. And I stopped snacking entirely. So even if I could not resist the craving for chocolate, I would only eat it immediately after a main meal. Dairy/Cheese can indeed give digestive symptoms,most of the time when one has bad gut flora. However, I see numerous times the use of bonebroths in your recipes,which according to GAPS are very beneficial in healing the gutlining. Thank you, Joey. I don’t take probiotics but I eat Sauerkraut quite regularly. I don’t know… seems like I am best off just eating a little meat, some eggs and a heap of veggies, along with some fruit. That does not bother me. Sure, cheese can be awesome but I can live without it (as it seems…). Yes,we’re all our unique human beings……for me fruit and excess fructose is the devil. as for the duck fat I don’t think it’s an issue – and it is very likely that the O6-content is, once again, depending on the feed of the animals. I get mine from a farm nearby, all free range so I don’t worry. I did not have any gardening experience before and I think it is not hard to grow your own vegetables. I’ve made a video about the book “How to grow more vegetables” – that is kind of the pinnacle of efficient vegetable gardening and it indeed features some pretty advanced stuff. But you can take any single element from it and improve your results. Container gardening might be a nice place to start – grow some tomatoes (those are a little more delicate, though). I don’t have enough vegetables in my garden to live off, that would require a considerate amount of work throughout the year and I am currently not willing to make that commitment. We’re you more active/exercising or ‘chubbier’ (guess that’s not the right word,cause it’s kind of a bullyish…which I don’t mean to be:)) back then? Hi Joey – that is one part coincidence and one part rooted in the fact that those were recipes designed to work with the “Zone Diet” as well. But I stopped following that protocol very soon after I started this website. I kept doing those recipes for those people who had started to use them but later I found that to be too laborious. The “Zone” is a nice concept and idea and might help transition from a standard diet over to paleo, but in the end it complicates matters far too much. Never heard of Zone Diet before,but I could see it involves counting/measuring/weighing which most ‘diets’ require so I can imagine it must be quite tiring&stressful…..not to mention that stuff like that can really lead to OCD-like behaviour and Eating Disorders. That is exactly the point. It feels like a disorder. Vielen Dank für die schnelle und vor allem sehr gute Umsetzung dieses Videos! Du hast zwei Punkte angesprochen über die ich auch schon nachgedacht habe. Nämlich einmal die “Problemzone” Kühlschranktür, denn wie du schon sagst, fallen da die meisten genannten Sachen bei einer gesunden Ernährungsweise weg. Und auch ist es bei mir nach einem Großeinkauf so, das ich die Sachen einfach irgendwie im Kühlschrank unterbekommen muss, und man dann auch nicht mehr so ganz auf die verschiedenen Zonen achten kann. Was mir aber vor allem weiter geholfen hat, war dein Hinweis auf die Glasbehälter von z.B. Luminarc. Ich suche schon seid längerer Zeit nach einer Alternative zu den üblichen Kunststoff-Dosen. Also vielen Dank noch mal Felix! Ich finde es wirklich toll wie du auf die Wünsche deiner Leser eingehst, und ich danke dir auch noch mal, weil dein Blog und deine Videos mein Leben bzw. meine Ernährung und Gesundheit sehr zum positiven verändert haben.